Topline: The 2019 Mercedes-Benz A-Class Sedan is the first-ever variant of the A-Class model range to be sold in the U.S. Simply put, this is the Mercedes-Benz of compact cars. 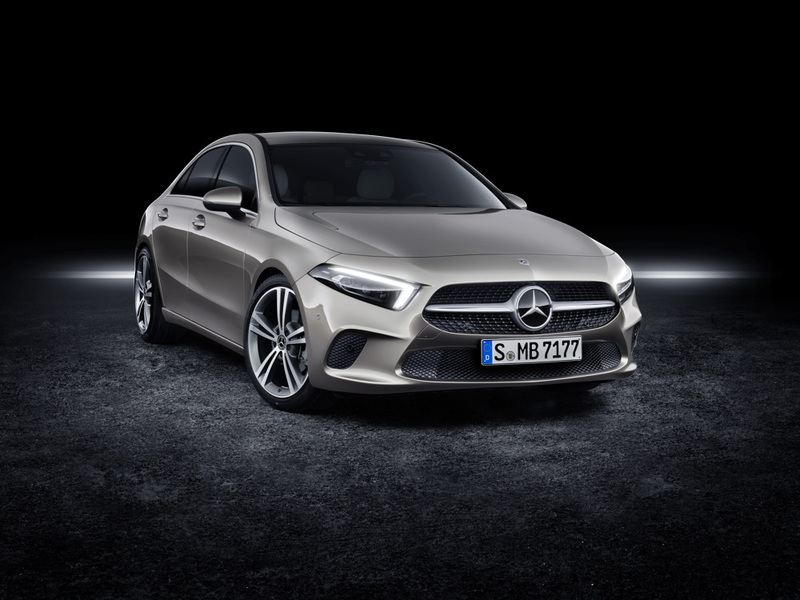 What's New: The Mercedes-Benz A-Class Sedan is all-new for the 2019 model year and it is also the first-ever sedan version of the compact car to be sold globally. The four-door sedan has a wheelbase of 107.4 inches and has very dynamic proportions for a compact sedan with short front and rear overhangs. When it goes on sale in the U.S., the A-Class sedan will be available in two variants: A220 and A220 4MATIC. The 2019 Mercedes-Benz A-Class Sedan is powered by a 2.0-liter turbocharged four-cylinder engine which produces a respectable 188 horsepower and 221 pound-feet of torque. Power from the engine is either sent to the front wheels as standard or to all four wheels with the optional 4MATIC all-wheel-drive system via a seven-speed dual clutch automatic transmission. 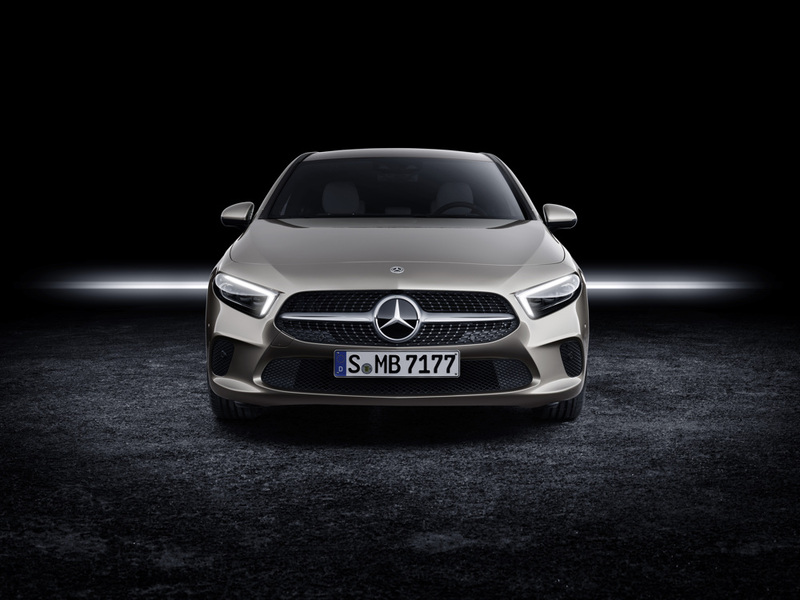 Like all modern Mercedes-Benz vehicles, the new A-Class Sedan is brimming with new technological features along with a host of active and passive safety features. Standard features on the 2019 Mercedes-Benz A-Class Sedan consist of Mercedes-Benz User Experience (MBUX) with Voice Control, 7-inch digital instrument cluster and touchscreen multimedia display, panoramic roof, LED headlamps and taillights smartphone integration with Apple Car Play and Android Auto, touchpad, 17-inch wheels, DYNAMIC SELECT, keyless start, dual-zone climate control, multifunction steering wheel with shift paddles, cruise control, active brake assist, and adaptive braking technology with hill start assist and HOLD function. Optional features are 10.25-inch digital instrument cluster and touchscreen multimedia display, driver assistance package, parking assistance package, multimedia package with MB navigation and augmented video, exterior lighting package, 64-color ambient lighting, AMG line body kit, night package, Burmester premium sound system, KEYLESS-GO with hands-free access, heated front seats, multicontour seats, heated steering wheel, dynamic body control, head-up display, inductive wireless charging, and heated and ventilated seats. Active safety features consist of driver assistance system which includes active distance assist DISTRONIC with route-based speed adoption, active steering assist with active emergency stop assist and active lane change assist, active brake assist with cross-traffic function, active speed limit assist, active blind spot assist, active lane keeping assist, pre-safe brake with pedestrian recognition, and pre-safe plus, which recognizes an imminent rear-end collision. Passive safety features include a highly stable passenger compartment with modern restraint systems, standard driver and front passenger airbags, a driver's knee airbag, and window airbags. Thorax-pelvis side airbags are standard in the front and are available as an option to the rear passengers. When it comes to the suspension setup, all 2019 Mercedes-Benz A-Class models are fitted with MacPherson struts up front while A-Class models equipped with 4MATIC, adaptive damping or larger 18 or 19-inch wheels are fitted with a complex four-link rear axle. 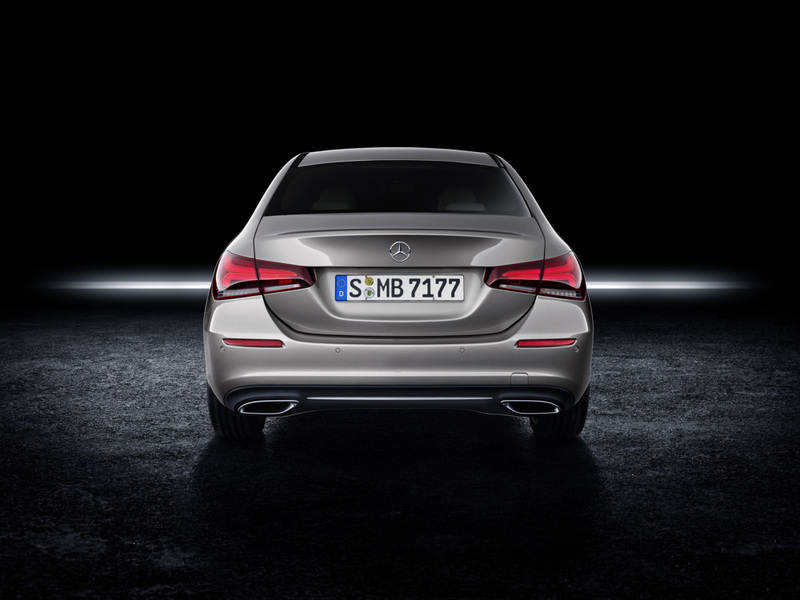 Front-wheel drive A-Class Sedans with the base 17-inch wheels are fitted with weight-optimized torsion beam rear axle. Quotable: "Following the successful start of the A-Class, things at Mercedes-Benz are happening in quick succession with regard to the new family of compacts. In response to the wish of many customers, we now offer the A-Class for the first time as a sedan," said Britta Seeger, member of the board of management of Daimler AG and responsible for Mercedes-Benz cars marketing and sales. She also said that "Anyone looking for a compact, sporty sedan with a separate trunk now has a new, attractive alternative. It will attract new customers for Mercedes-Benz." What You Need To Know: The 2019 Mercedes-Benz A-Class Sedan will celebrate its World Premiere in Brooklyn, New York July 25 and will go on sale in the U.S. in late 2018. The A-Class Sedan will be manufactured in two factories, one factory is in Aguascalientes, Mexico and the second factory is in Rastatt, Germany. Production of the A-Class Sedan will begin in Aguascalientes, Mexico later this year and in Rastatt, Germany in 2019. As of this writing, Mercedes-Benz has not announced the pricing for the 2019 A220 and A220 4MATIC. Additional information will be available at launch and pricing for the two models will be announced closer to the model's sales date later this year.